Asurint named one of the nation's top background screening providers for the fourth time. CLEVELAND, November 28, 2018	(Newswire.com) - Asurint today announced that they have been named one of the nation’s top employment screening providers on the prestigious HRO (Human Resource Outsourcing) Today magazine’s 2018 Baker’s Dozen list. HRO Today’s Baker’s Dozen is based on feedback from current clients of the organizations and is analyzed across three subcategories including service breadth, deal sizes, and quality. Asurint was recognized in all three subcategories. This year’s recognition marks the fourth time Asurint has been named to the list. You can read the full article and rankings on HRO Today’s website. 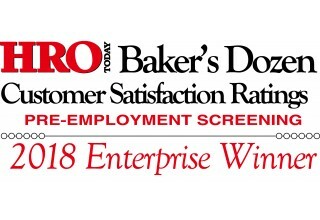 HRO Today’s Baker’s Dozen is based on quantitative rankings and feedback from nearly 600 verified customers of participating companies through an online survey on various categories including service breadth, deal sizes, and quality. The customer survey data to achieve this recognition is based primarily on customer satisfaction. To achieve inclusion on the Baker’s Dozen list, companies are rated anonymously by their clients during an online survey process. HRO Today calculates the results using a statistical analysis and predetermined algorithm. The Baker’s Dozen list is one of the most prestigious surveys in the pre-employment screening industry. 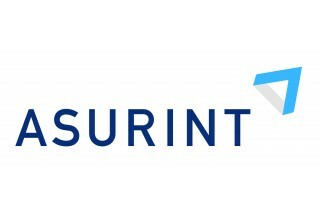 Asurint provides technology-enabled, customizable background check solutions for HR recruitment teams that result in faster turnaround times and more records than traditional single county searches – eliminating the manual-intensive labor of background screens. Our approach also seamlessly integrates with the existing applicant tracking system software to give an end-to-end view of the hiring cycle and create a more efficient workflow. With Asurint, the HR industry can shorten their hiring cycle and onboard the best talent for their organization. Asurint now provides instant background check clears in counties covering more than 94% of Illinois' population. Asurint now provides instant clear results covering 100% of Massachusetts's population.